Personalized Disney Gifts from Shutterfly | What's the Point? 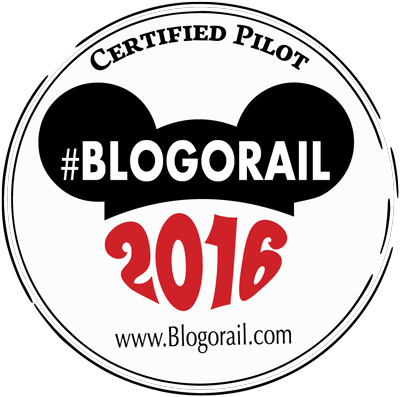 Welcome to this month's Blogorail Black Loop. Today we are sharing gift ideas for Mother's Day. I've been a loyal Shutterfly user since my Kodak Gallery closed up shop and my account was merged with Shutterfly. It's no surprise because I love photos, and especially beautiful photo gifts. I've always been the photographer of my squad, and always the one people are hunting down for photos after an event. As a new mom, my love for photos has increased 1,000 fold. I don't want to say that I always have my phone out taking photos, but I would say that 75 percent of my day spent with my son is spent documenting his every move. Therefore, my love of photo related gifts has proportionally increased as well. While all of this seems like common sense, about a year ago, Shutterfly began offering Disney themed products. This is a GAME CHANGER. If that special mom in your life is anything like me, they'll go crazy for these products and will make the perfect, personal Mother's Day gift. 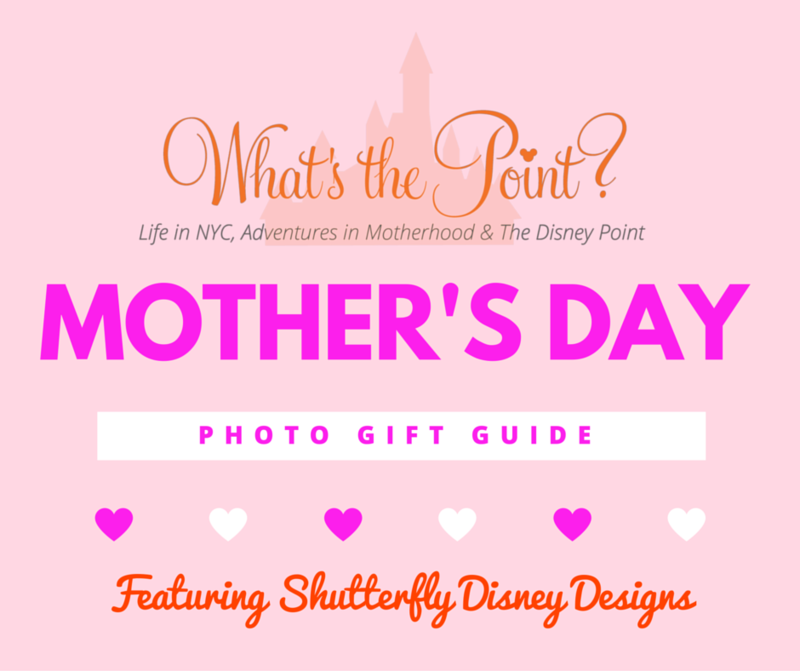 Without further ado, here are my top 3 Shutterfly Disney products for Mom this Mother's Day. By far, my favorite Shutterfly album are their easy-to-make, easy-to-love photo books. Not only are the Shutterfly photo books reasonable, they also are an easy way to display hundreds of vacation memories in a thin, easily storable book. While I do love Photopass and the Memory Maker package, I find it much easier to download all my Photopass photos and include them with my own in a Shutterfly album. I suggest gathering photos from your last trip, or do a combination of trips your family has taken throughout the years, and pull together a simple and fun book. The Disney Adventures themed book is my favorite (above) but if you are a Frozen fan, I highly recommend looking into the Disney Frozen photo book. New mom? A good idea would be to pull together a baby book for her using the Disney Winnie the Pooh themed layout. There are never enough photo mugs. I repeat. There are never enough photo mugs. While there are a few versions to choose from, by far my favorite is the Disney Vintage Mickey Mug. 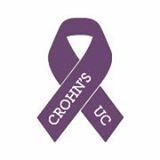 The mug comes in 11 or 15 ounces, and can be customized with nine different colors. You can add up to three photos and...wait for it...Ghirardelli chocolate gifts such as squares or hot cocoa. We recently got a Shutterfly pillow of my son at Walt Disney World for his great grandparents for Christmas, and let me tell you, that gift was the hit of the holiday! My grandmother tells me that my son is "with her all the time" as she sits on her couch with his pillow next to her. 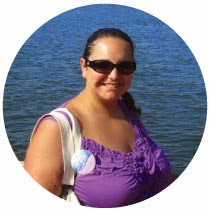 With a story like that, how could I not recommend Shutterfly's photo pillow for Mother's Day! I personally love the Minnie Mouse sham, although there are plenty of other options, such as Frozen, Cars, and of course the big cheese, Mickey. I truly believe that whatever your Disney style or personality is, Disney Shutterfly gifts are perfect, simple and cost conscious gifts for any Mom on Mother's Day! For more gift ideas, check out the other great posts from the Blogorail!